We are all connected to each other. Through Christ, we are connected. He is my Father. And if you are His, you are His child as I am. That makes him your Father as well. And if He’s your Father, that makes us family. That makes us siblings. We need each other. We are connected. That’s just the way that it is. None of us were made to walk this path of life alone. None of us were made to walk it without someone beside us. No matter how unworthy you may feel. No matter how little you may feel. No matter how unimportant you may feel. You matter. You are important. You are important to God, important to the Body of Christ, important to us all. Every part of the body is important. The hand. The foot. Each matters. Each is vital. Each is needed. As it is with us. We matter. Each of us matters. To God. To the church. To each other. And, we need each other. To love each other. To hold each other accountable. To help each other. To challenge each other. To grow each other. To disciple each other. We are a body. We are family. We need each other. Today, is my deepest prayer that you are plugged in somewhere where you know that and you feel that. That you know that you matter. That you know that you are needed. That you know that you belong. Today, you matter. Today, you belong. Today, in Christ, are you family. Today, we need each other. May we not live along. May we love, plug in, help, and care for each other. 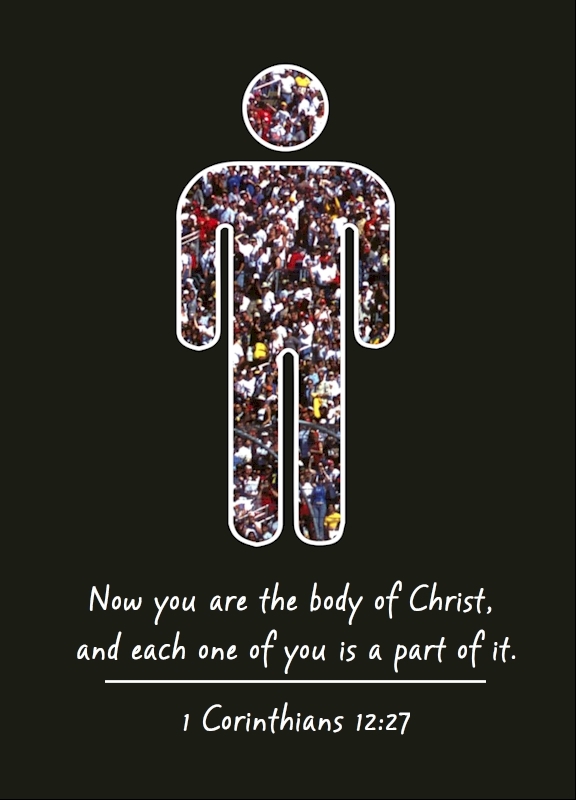 We are part of a body, Christ’s body. May we never forget that we need each other.